Amrutha Dairy Farm is located on the outskirts of Bangalore, Karnataka. It was started in 2010 as commercial dairy farm engaged in producing and supplying milk. Later the focus of operations shifted to dairy consulting and rearing calves. 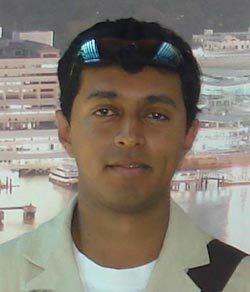 Mid 2009, Mr. Santhosh quit IT world and became an entrepreneur. He took full term training at National Dairy Research Institute (NDRI) to learn the intricacies of running a commercial dairy farm. Training gave him the confidence to rear the cows and manage the farm independently. Farm specializes in rearing and breeding calves. 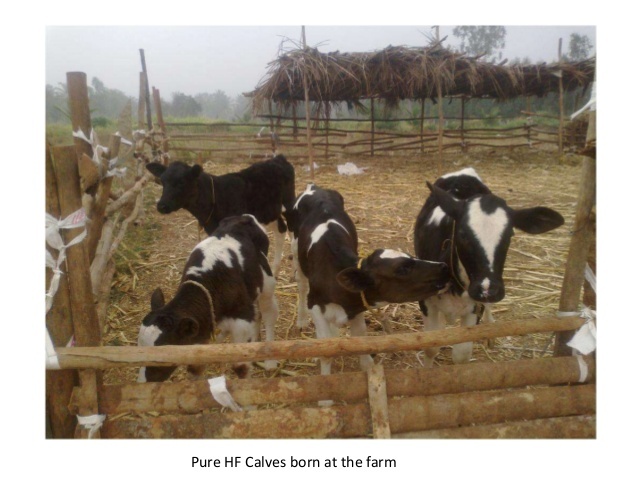 “We buy 3 months old calves, raise them for one and half year and then sell to commercial dairy farms in South India. We have a batch of 60-120 calves that are sold to new farms after 1.5 years,” he informs. Young calves are bought from Karnataka, Andhra Pradesh and Tamil Nadu. Speaking about the precautions and care taken specifically during transit, “We are extremely careful about the health and look-after of 3 months old calves in the transit. We prefer nearest possible locations for sourcing these calves no matter even if we have to spend few thousand rupees extra!” he says. The base and sides of the transportation vehicle are completely cushioned with cloth and corrugated boxes to ensure absolute no hurt to the calves. Two farm personnel travel in the vehicle. Behaviour and characteristics of cow breeds differ from one another. Hence it needs to be raised accordingly. By and large these days’ dairy farmers have jersey or holstein friesians cows. “Farmers raise these hybrid breeds like desi cows. It is wrong! What happens is, they take them out for grazing in the morning and return back in the evening. In this practice, jersey and holstein friesians breed cows lose more energy than what they gain. Instead it must be fed balanced diet in-house,” he elucidates. Milking depends on lactation period. One lactation cycle is of 9 months. “It is inappropriate to quote milking per day because during nine months lactation in the beginning milk yield is more while it reduces slowly till the last month. It could be 25 liters per day for first three months and reduce to 4-5 liter per day in the 9 months. Secondly it depends on the environmental conditions too. In South India, Hybrid varieties yield 4500 liters per lactation where as in states like Punjab the milk yield is 5000-6000 liters per lactation,” he asserts. Hybrid breeds costs Rs. 55,000-65,000/cow and desi breeds are sold at Rs. 35,000-50,000/cow. Prospects of dairy farming in India are bright. “New age entrepreneurs are doing good work. They are working independent of cooperative model. Time has come existing dairy farmers need to be confident of their products and sell it directly instead of selling to dairy cooperatives. Further youth are showing lot of interest in being dairy entrepreneurs. I suggest them they must initially work for some established organization to learn the business operations and get the required exposure. It shall be followed by the ground work and training from recognized institute like NDRI. Next, set up small business in parallel to the job. Once they are confident and have all the resources they can quit job and become full time entrepreneur. Surely the preliminary excitement must be controlled. It is important to learn and invest then success is guaranteed,” he signs off. Halenahalli, Madhure Hobli, Doddabalapur TQ, Bangalore(Rural), Karnataka.